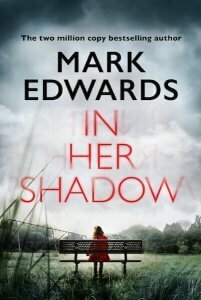 I ALWAYS get a bit over-excited when Mark Edwards brings out a new book and even more excited when I get invited onto his blog tour. Thanks so much to the tour organiser for asking me to be part of it. Wow! Wow! Wow! Compelling isn’t even a strong enough word for this book. Addictive is probably more like it. I started it early one morning and literally couldn’t tear myself away and had trouble focussing on anything that day when I was at work because all I wanted to do was discover more. The story of a dead sister’s death not quite being all that it seemed, according to a child, who couldn’t possibly know the things that they were coming out with, completely fascinated me and kept me riveted beyond words. Totally in the head of the main character with so many secrets coming out, I hadn’t a clue who to trust and what the hell was going to happen (I’d never make a detective! LOL!). The pages just kept on rapidly turning themselves as I devoured word after word, page after page and chapter after chapter as one twist after another launched itself upon me, to the point that I felt like I’d really been through the wringer at the end of it. My emotions were all over the place and my heart didn’t stop banging away! A total masterpiece and my favourite book of Mark Edwards’ so far! His first solo novel, The Magpies (2013), reached the No.1 spot on Amazon UK and has sold 300,000 copies to date. This was followed by What You Wish For (2014), Because She Loves Me(2014; also a No.1 bestseller in the UK) and Follow You Home(2015). He also co-writes with Louise Voss. 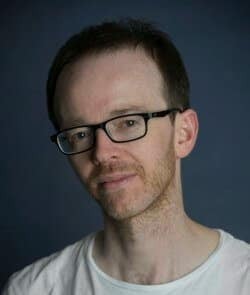 Their novels are: Killing Cupid(2011); Catch Your Death (2011); All Fall Down (2012); Forward Slash and a series featuring Detective Inspector Patrick Lennon, starting with From the Cradle (2014) and The Blissfully Dead (2015). Read more about Voss & Edwards.